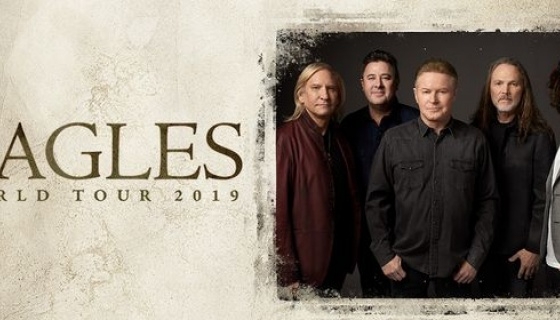 Frontier Touring are delighted to confirm that hugely popular American rock band Eagles will bring their critically-acclaimed Eagles World Tour to Australia and New Zealand in February and March. The best-selling American band of the 70s and one of the top-selling acts of all time, Eagles’ appeal continues to transcend both generation and genre. After birthing in Los Angeles in 1971, the band have sold more than 150 million albums, scored six #1 albums and topped the singles charts five times. Don’t miss the opportunity to witness Eagles’ unmistakable West Coast harmonies and unrivalled lyrical talent set on fire as they return to Australia and New Zealand in 2019. Their shows on our shores have a reputation for selling out, fans are encouraged to act quickly to secure their tickets to this special concert event!